Of course, the most important part of the meal is the food. While most North Americans gather around a table filled with roasted turkey, mashed potatoes, gravy and green beans, Italian tradition differs once again. After plates of classic antipasto with cuts of cured meat, olives and cheese, it’s time for pasta. 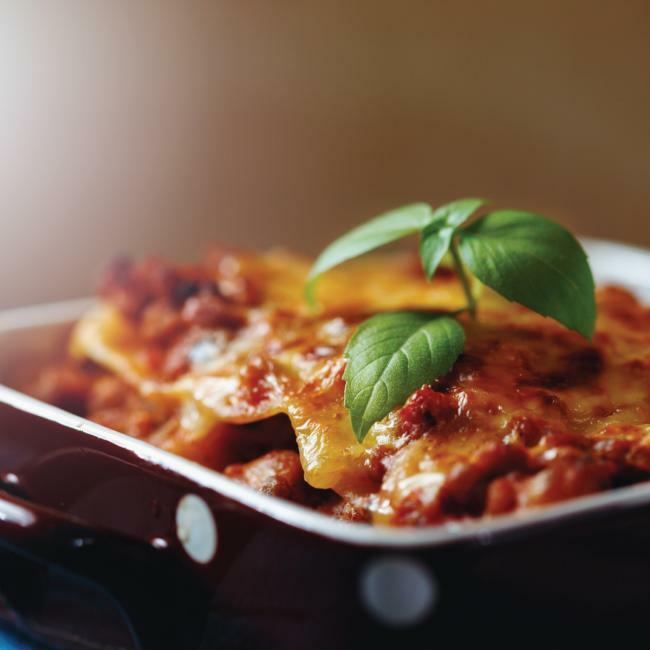 In the Emilia-Romagna region, families pass around a deep pan of Nonna’s Lasagne alla Bolognese – lasagna with a tomato meat sauce. We’ll be the first to admit that making pasta requires a gentle touch and patience, but recreating this recipe in a SUPERIORE range will bring ease and joy to the cooking process. Staring on the outside, the triple-layered glass doors on our ranges ensure maximum insulation to keep all the heat inside. When you need to check on your lasagna, peaking through the PANORAMA window into the oven lit with two powerful interior lights will prevent heat loss from having to open the oven door. Finally, our convection fans warrant even cooking on any rack level, perfect for browning the top layer of your lasagna and ensuring the inside is cooked through. For your holiday meal this year, we hope to inspire you to try something a little bit different. Serve up a plate of tasty, authentic Lasagne alla Bolognese and leave your family smiling in their seats. Click here to see the full recipe from Walks of Italy, and if you’d like more information on our collection of ranges, please visit our website here.